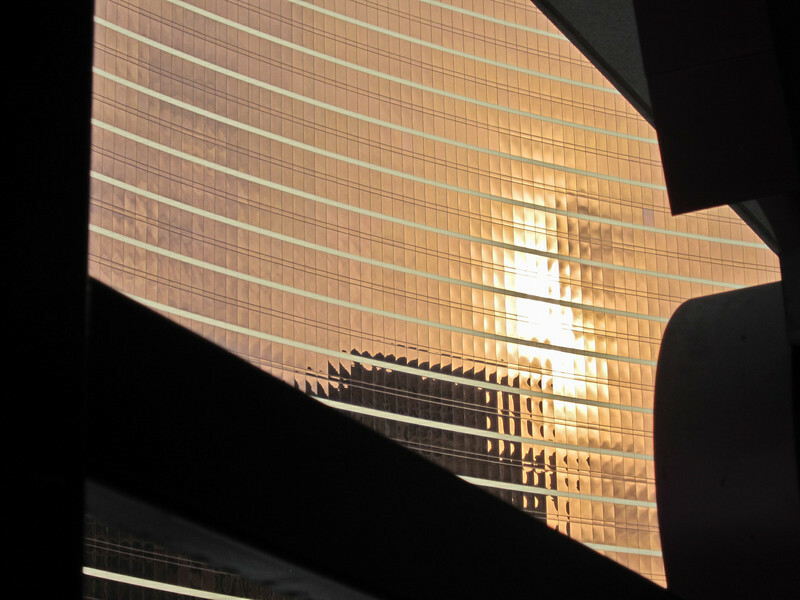 This is the Winn of course, which has come to dominate the Las Vegas skyline in the short time it has stood there, and even now more-so with the Encore to echo it. I shot up through the structure of the Fashion Mart, itself an interesting piece of architecture, using the foreground shapes of girders to frame the reflection of the sun. Canon SD 4000IS at 106mm equivalent, f5.3 @ 1/1000th @ ISO 125. Programmed auto. Processed in Lightroom for clarity and intensity. Extra Fill-Light to bring up just a touch of detail in the girders. As I said last Sunday, it is possible to find and celebrate the beauty in Vegas, for it is there…but it is always beauty that has to be seen despite itself and its intention. It is like the whole city is as artificial as the city-scapes built in miniature inside the hotels. I survived it, but I am certainly delighted to be “outside” again! I’d like to thank all of you who kept me company on this week-long excursion into territory I don’t usually explore. I look forward to seeing the creation more or less as it comes from the mind of the creator, and maybe sharing a bit of that, somewhere out on Blackpoint Wildlife Drive at Merritt Island NWR today. Vegas is not only the city that never sleeps, it is also the city that is never finished. There are people on the streets and in the bars and casinos 24 hours a day, and every year when I go back I see at least one new hotel, or new hotel wing, and there is always evidence of new construction at the moment. 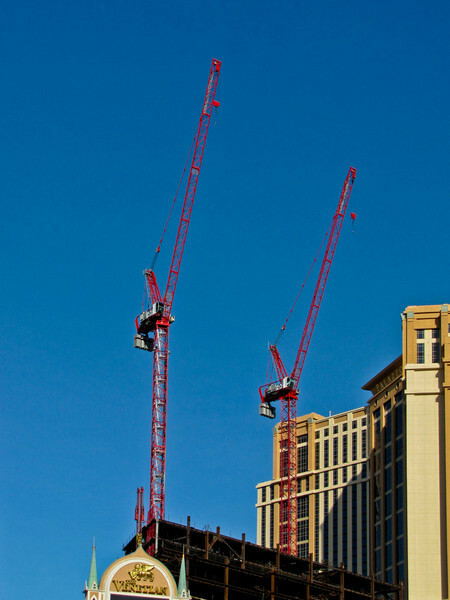 Construction cranes over Vegas are as much a part of the skyline as the Winn or the Venetian or Cesar’s Place. Canon SX20IS at about 75mm equivalent, f4 @ 1/1250th @ ISO 80. Programmed Auto. Processed in Lightroom for intensity and clarity. Perspective adjusted and cropped. Shadows also speak of Vegas, or speak in Vegas. 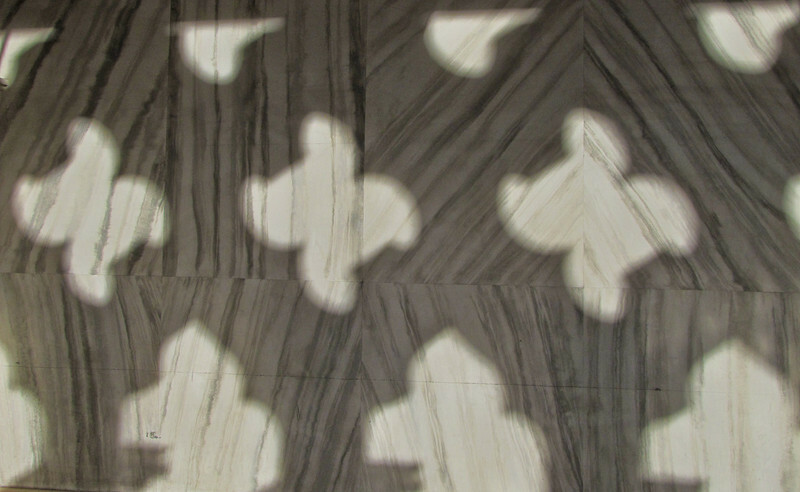 This is from the colonnade at the Venetian, where the stone screen casts shapes against the marble facade of the building itself. I totally confused about 50 tourists while attempting to shoot this. They could not figure out what I was doing, but they were polite enough not to walk into my camera line. Canon SX20IS at 40mm equivalent, f4 @ 1/1250th @ ISO 100. Programmed auto. 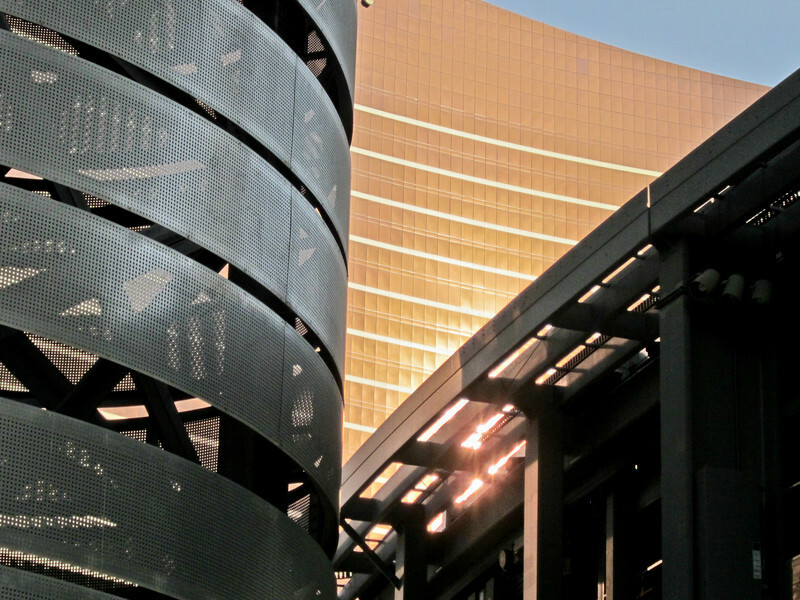 Vegas is a totally fabricated experience, and one in which each new fabricator feels the need to play with what everyone who passed that way before has done…adding effect to effect…until every juxtaposition is rich with intention. Or at least that is the way it can look. To me. I have the feeling that a trained eye should be able to trace the elaboration of form and light back to some essential center, to the original conjunction of two designing minds from which all this, over time, has sprung. Maybe somewhere around the Monte Carlo? I am certain it is all more random than that…but, being human, I will project order wherever possible, even if wildly unlikely. This juncture of curves…and what the sun is doing with them on an early Vegas evening…arrested my eye long enough to record it with the little camera I had in my pocket, just in case. Canon SD4000IS at about 105mm equivalent, f5.3 @ 1/1250th @ ISO 250. Programmed Auto. 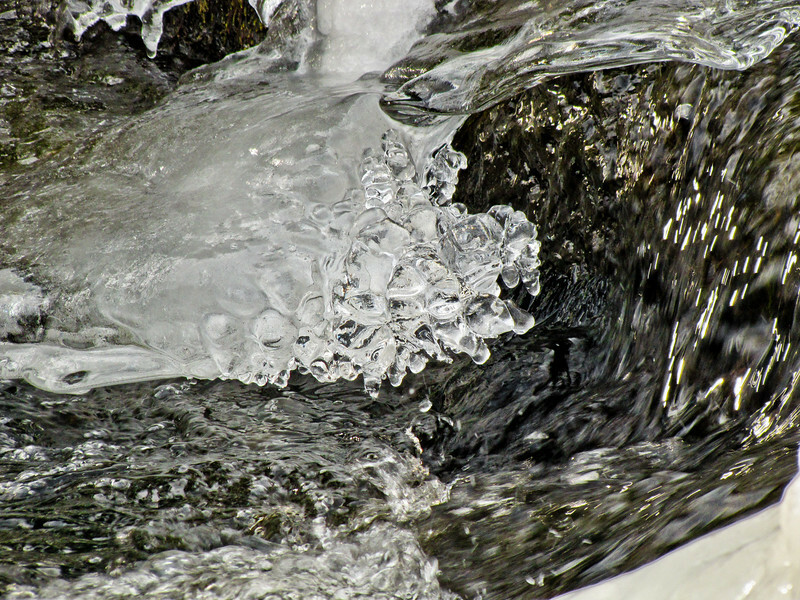 Processed in Lighroom for intensity and clarity, and cropped slightly for composition. 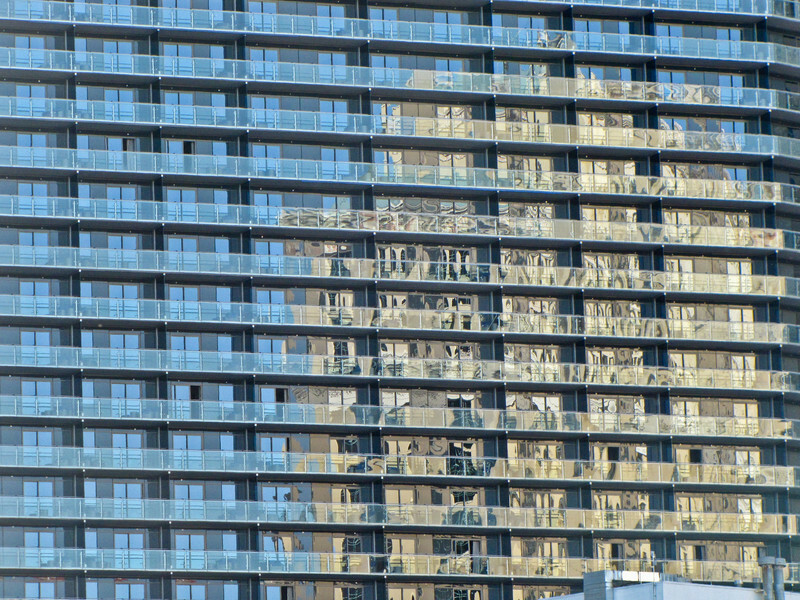 Vegas is a city of illusions, and reflections are the stuff of illusions…as in smoke and mirrors…the stuff of Vegas. The architects who designed the newest hotels were obviously well aware of the power. 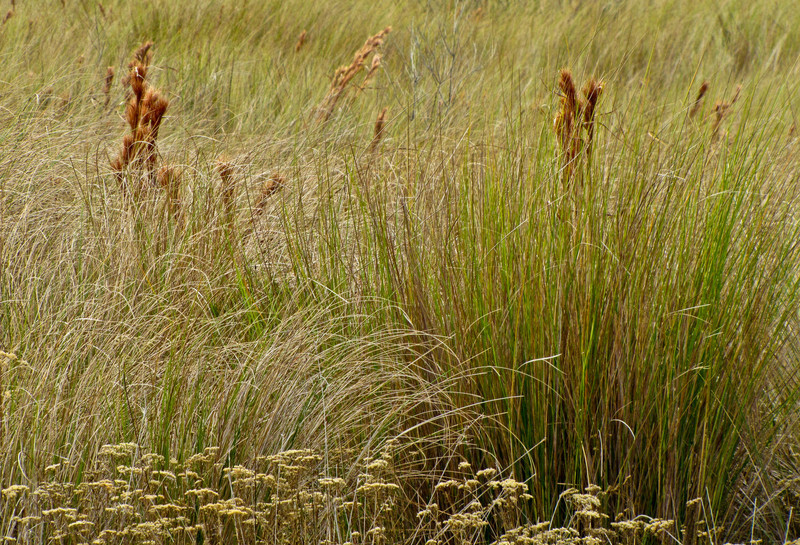 The color contrasts and textures are no accident. Canon SX20IS at about 240mm, f5 @ 1/320th @ ISO 200. Programmed auto.